Have you thought about what would happen to the person you care for if you had a crisis to deal with? What if you became ill, broke your leg, suffered bereavement or even had an emergency appointment to go to? When emergencies happen our lives are often put on hold while we recover or get things sorted out. But if you’re a carer the person you look after will still need care and support even if you aren’t personally in a position to provide it. If your a carer and you live in Derbyshire you should consider getting a carers emergency card and making an emergency plan. A good, well thought out emergency plan will give you and the person you care for peace of mind, knowing that back up support can be put place in case you need it. The emergency card itself can be kept in your purse or wallet and will help to let other people, such as first responder or paramedic, know that you are a carer and there is someone at home that relies on you. It's worth putting some time aside and really thinking about your emergency plan. A well thought out plan is more likely it is to work and save both yourself and the person you look after unnecessary stress. As a carer it's difficult to find free time but maybe you could ask a friend or relative to sit with the person you look after for an hour or so while you put the emergency plan togther? If it's possible, write the plan with the person you care for so you can get their thoughts on what should be included and what they'd like to happen. Ideally you should type the plan up on a computer so it’s clear and easy for other people to read, but writing it by hand is fine. Keep a ‘master copy’ of the plan either on your computer or somewhere safe in your home. 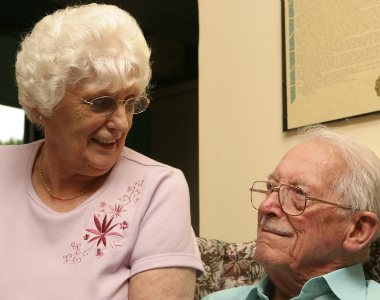 What care and support does the person you care for need? What is their daily routine? Is overnight care required? What do they like and dislike? Are there any particular things that would upset them? Does the person already get support from a care service provider via the council? If so, there will already be records of their care and health needs so you don't need to add so much detail. Do they or you have any pets? Think about arrangements for them in an emergency? What are their healthcare needs? What medication do they have / where is it kept? Does the person have any communication difficulties? Dietary requirements / do they need support at meal times? 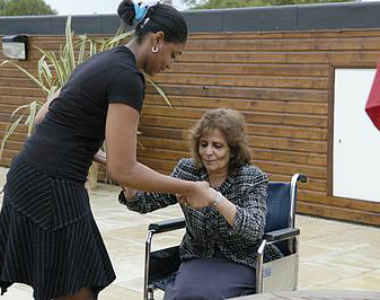 Who can you rely on to help provide care in your place? Is it likely they will actually be available to help in an emergency or will they have their own commitments? Are there specific days when the person will and won’t be available to help? How long would they be able to help for? A few hours, a few days or weeks? How close do they live to you? Are they able to stay overnight? How will they access the house / do they have a key? Key safe? Make sure you speak to the people you are nominating as emergency contacts and check they are happy to provide support. Think about different scenarios. For example, if your emergency only takes you away for a few hours then a neighbour or relative may be able to step in. But what if you were unable to provide care for a few weeks? Would your relatives/friends/neighbours be able to take over for that amount of time? If not, think about funded care options, such as a private home care service or a stay in a residential home – what would they person you look after prefer? Also think about funding. If the person you look after would likely have to pay for care it might be a good idea to put some money aside or save up to pay for it. You may also wish to look at care services in your local area or get recommendations from either the internet or people you know. You can put your preferred care providers in your plan. An emergency plan can only be effective if people know about it. If you don't live with the person you look after, make sure there is a copy of the plan at your house and at their house. Your plan is most useful if it is up-to-date so make sure you review the plan regularly. If you make changes to the plan, make sure you let Derbyshire County Council know so they can update their records. You can email changes to carers.adultcare@derbyshire.gov.uk or tel: 01629 532273 (preferrably email - this telephone number is for card admin only, please do NOT call it in an emergency). Being a carer can be challenging, stressful and hard work physically and mentally. It’s important that carers look after their own health and wellbeing but many concentrate on the person they look after and forget about looking after themselves properly which can damage their own health. One way you can get support is through the Derbyshire Carers Support Service which is provided by Derbyshire Carers Association in both Derbyshire and Derby City. The service can help you access local services, offer information and advice and keep you up-to-date with news for carers.